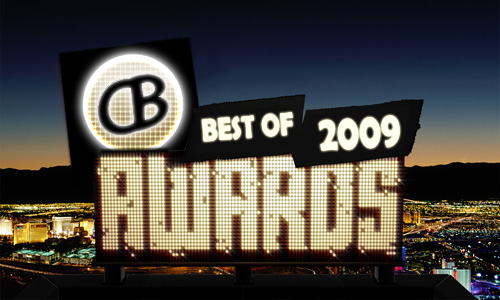 CrackBerry Awards 2009: VOTING NOW OPEN - Cast Your Votes for Your Favorite CBA Best of 2009 Nominees! Cast Your Votes on the Polls Below! Polls Close @ Midnight! Following up on our announcement of the nominees for the Best of 2009 CrackBerry Awards, or CBAs as we like to call them, the time has come for the CrackBerry Community to place their votes! Below you'll find outstanding nominees to vote on in a bunch of different categories. We had to draw the line somewhere, so went for major categories falling under BlackBerry Accessories, Apps and Devices. This is already a big jump up from our 2008 awards and we've left some room to grow for 2010. Place your votes below! If there's a category that doesn't feel relevant to you personally or you don't have a clue who to vote for, feel free to skip on to the next category that floats your boat (err.. makes your BlackBerry vibrate?!). Note - I'm going to disable the comments on this post. Want to keep things on track to voting - there was plenty of discusion on the nominees post and they're will be plenty more once the winners are announced! The voting will close end of day on December 30th, and we'll be announcing the deserving winners here on the blogs on New Year's Eve. From there, as we kick off 2010 we'll follow up in more detail on each of the winners to make sure we start the new year off right, by looking back at the best of 2009. Congratulations and good luck to all of the nominees! Happy voting everyone! BEST OF 2009 CRACKBERRY AWARDS - PLACE YOUR VOTES BELOW!